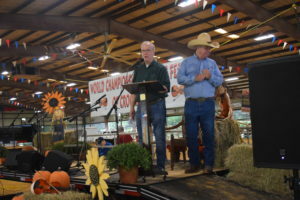 CROCKETT – While last year Mother Nature did her part in providing sunny skies, this year the weather took a turn for the worse and forced the 82nd Annual World Championship Fiddlers’ Festival into the dry confines of the Porth AG Arena. The Fiddlers Festival was held on Saturday, Sept. 22 and the event attracted over 75 fiddlers and accompanists from as far away as California and Idaho. 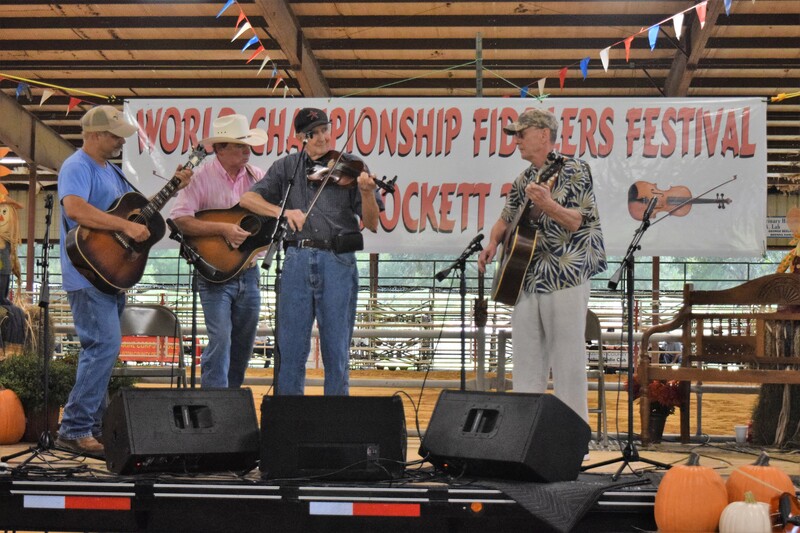 In addition, included amongst the musicians were several former World Champion fiddlers! The participants ranged in age from over 60 all the way down to six years of age and were divided into four divisions. The divisions were: the Senior Division, for contestants 60 years of age and above; the Youth Division for fiddlers up to the age of 18; the World Championship Division; and the Accompanist Division. 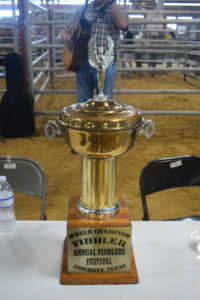 In the Senior Division, Robin Houghton took home the first place trophy along with $300. Second place and a check for $250 went to Brad Riley. Third place was awarded to Tom Fonville along with a check for $200. Fourth place went to John Blevins along with $150 and Davis Looper took home fifth place honors along with $100. The World Championship Division (Open) saw 13 competitors take the stage. At the end of the competition 15-year-old Ridge Roberts took home top honors and was also the youngets fiddle player to ever win the World Championship Fiddlers Festival.